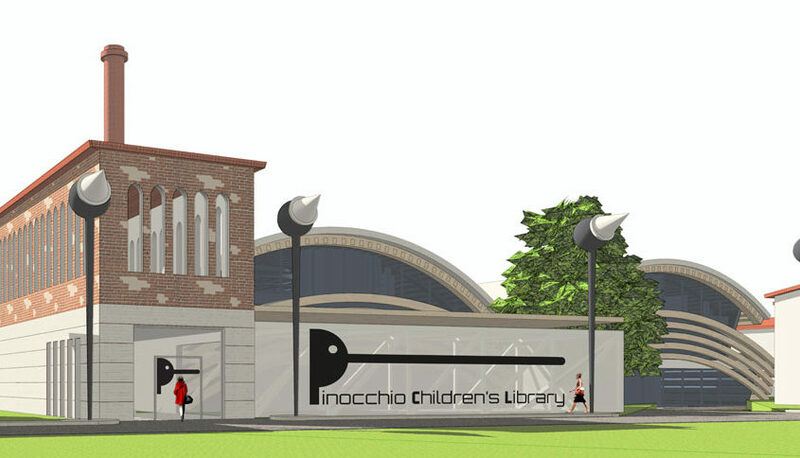 And if Pinocchio should have to imagine his PCL, “Pinocchio Children’s Library”, how would it be? 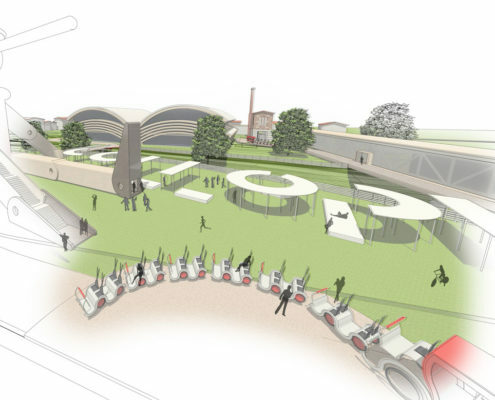 “… a sounds of pipes and drums …” ? 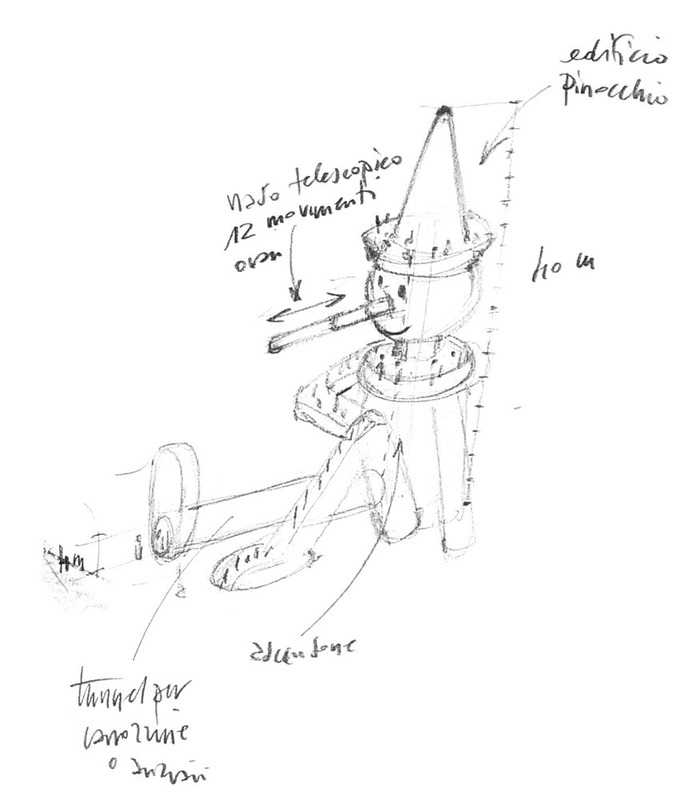 The idea was born by reading again , after long time, the book “The adventures of Pinocchio”, diving in the fantastic world of the Marionette. 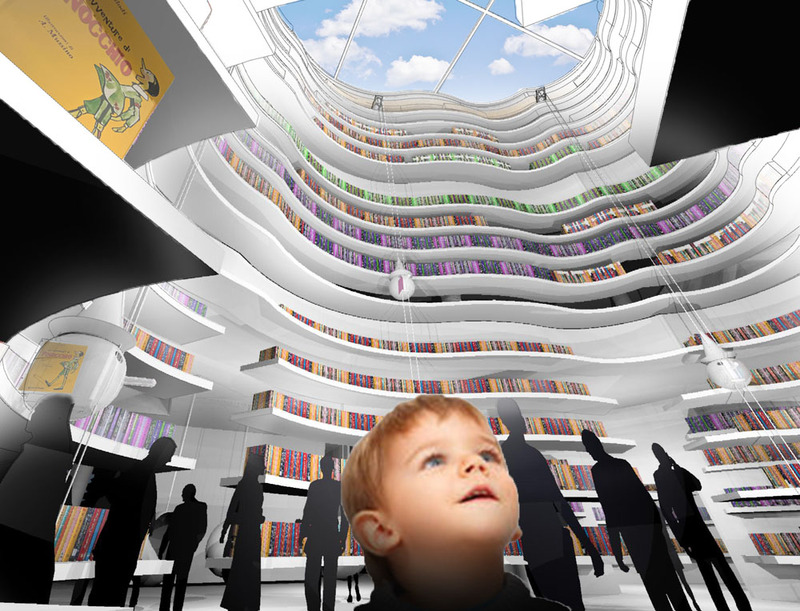 At the end of the book it istinctively spring the desire to know his next adventure. 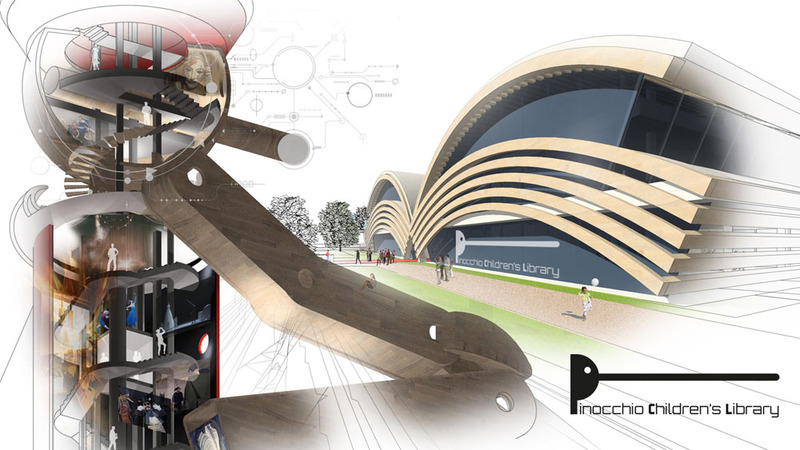 a gigantic Pinocchio, a walkable fantastic building where you can find in the inside sensory experiences. 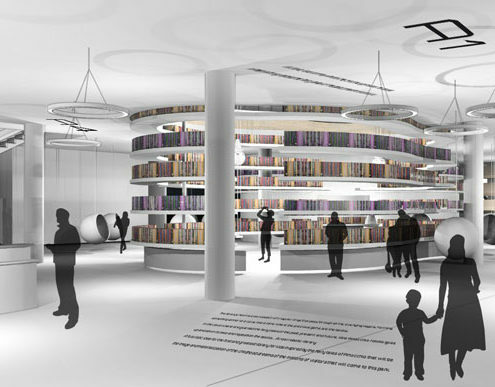 and the great book of fairy tales. 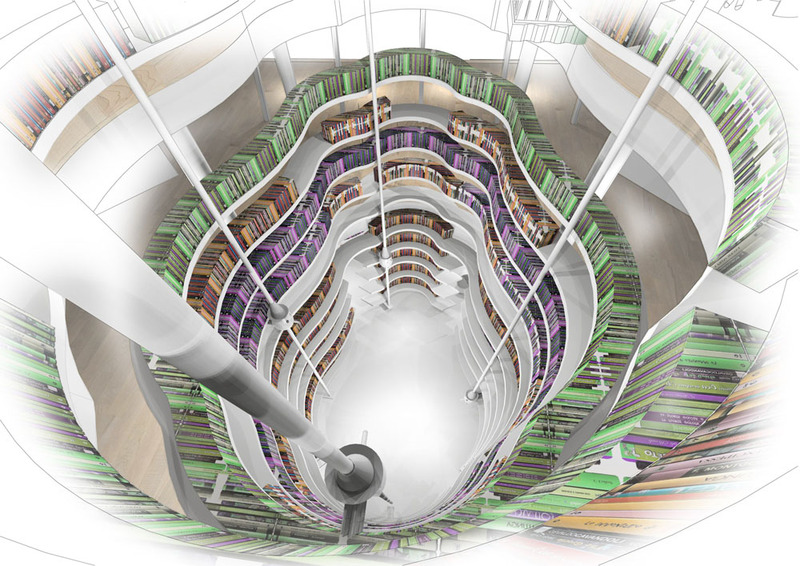 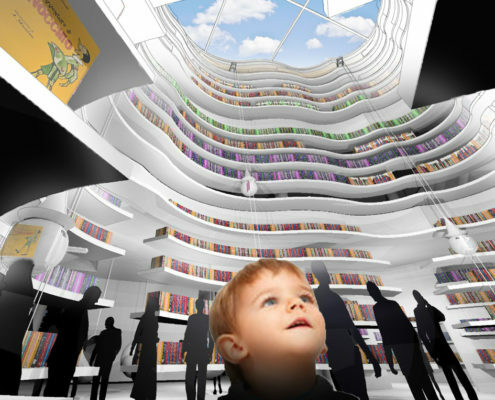 The greatest library for children has the shape of a gigantic open book and from the top of the Pinocchio’s Tower you can admire his entire view. 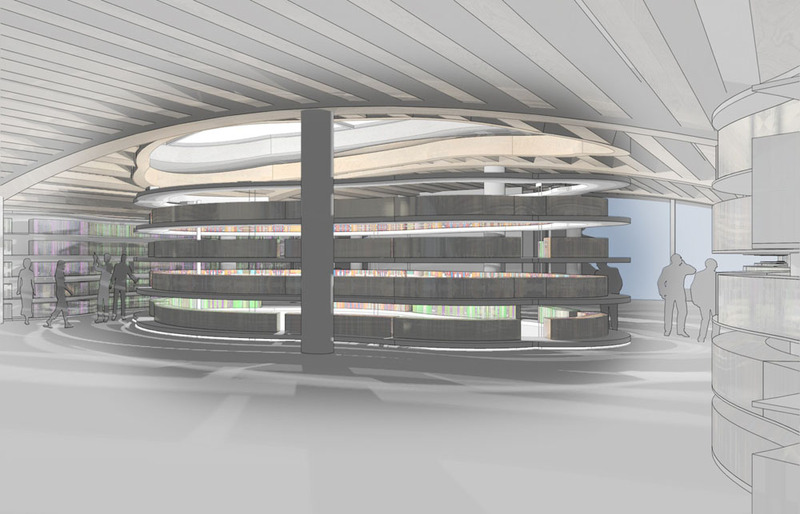 The entrance is a red bookmark that pass through all the building delimited by waving glass wall, that outline the Library to a side and the Expositive Area to the other. 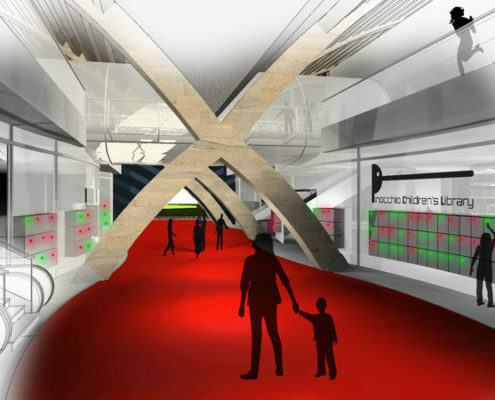 It’s like to come in the stomach and the tongue of the Shark with, on the left and the right at human height, hundreds of green and red lights that sign the lockers that lodge bags and coats. 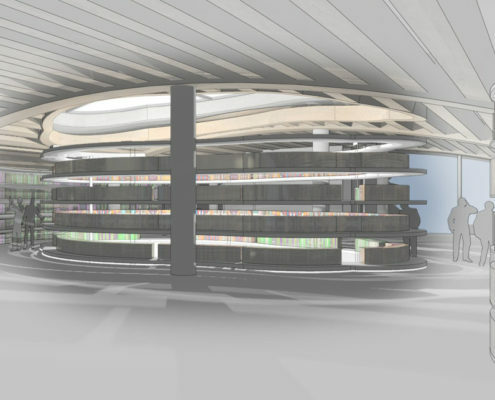 The library’s heart is a succession of irregular rings that pass through all the overlying layers, forming something similar to a cave, like a mine, where the precious gems are the books. 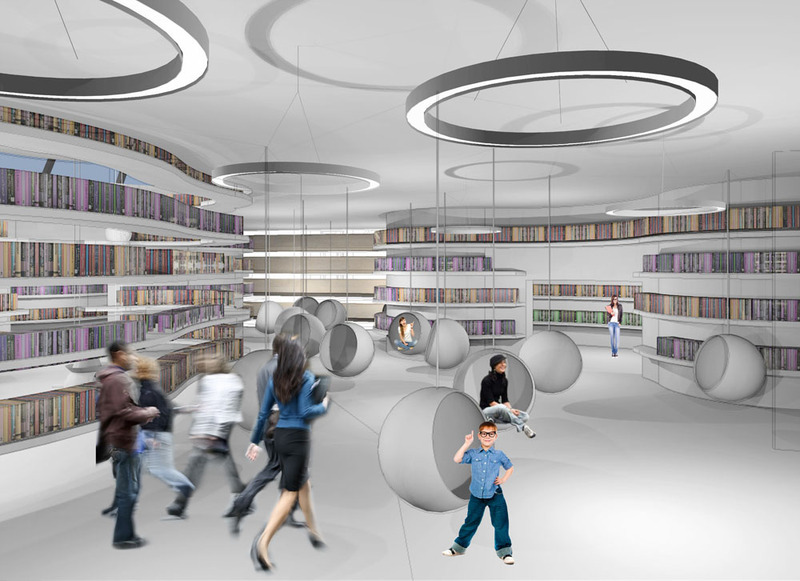 In the cave, where are guarded the fairy tales of the past, present and future, little Pinocchio robots goes up and down to take and reposition the books … a real robotic library. 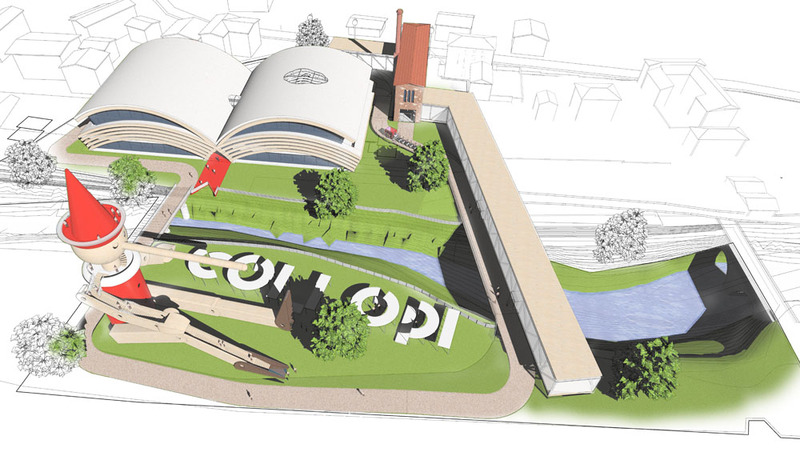 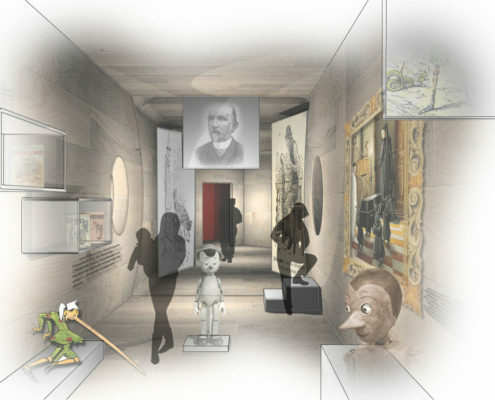 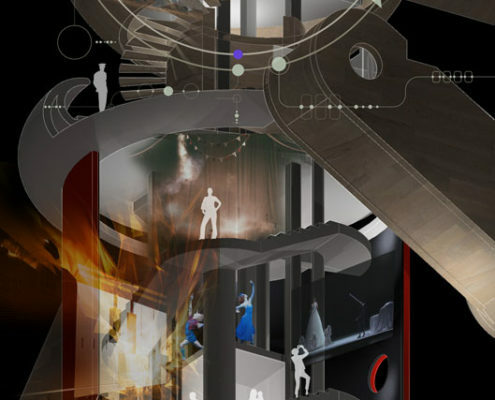 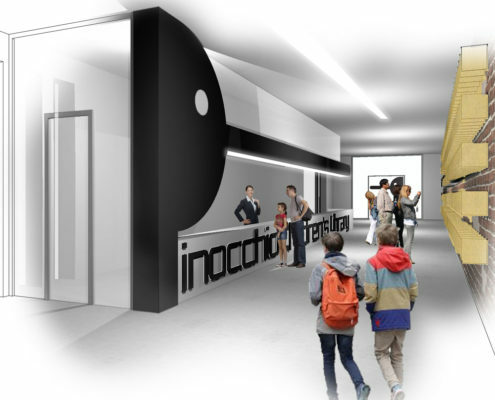 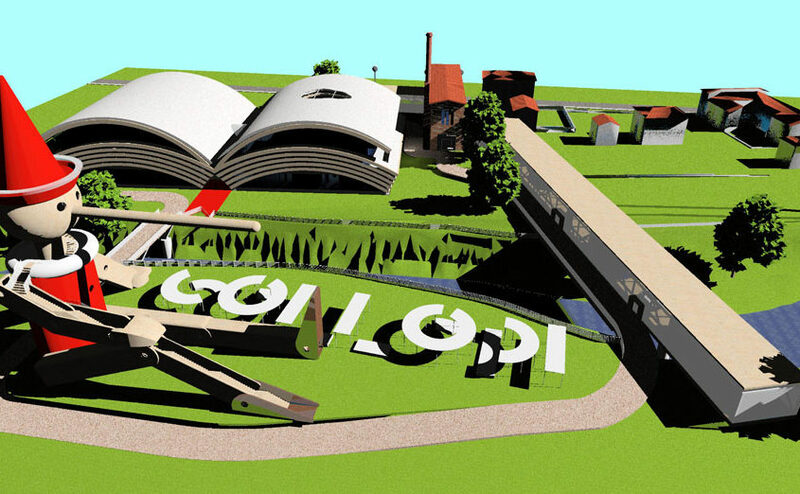 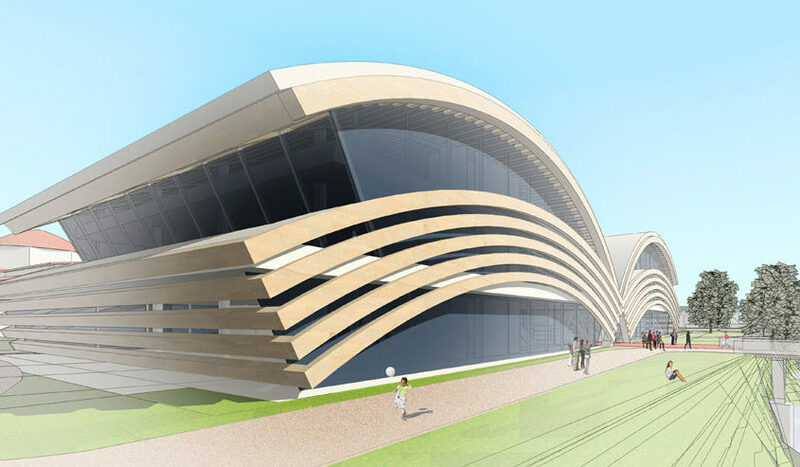 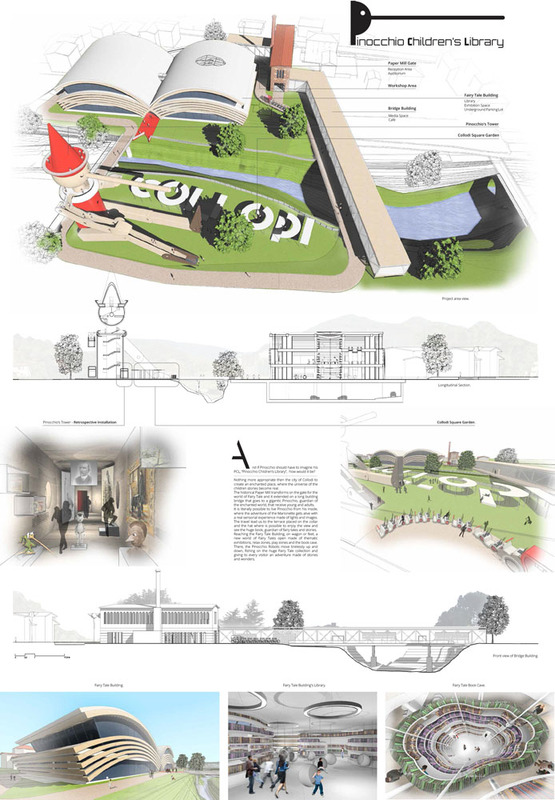 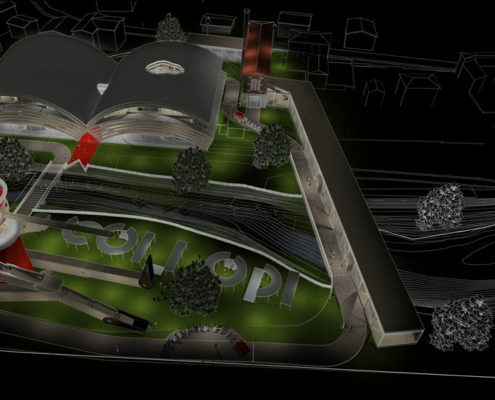 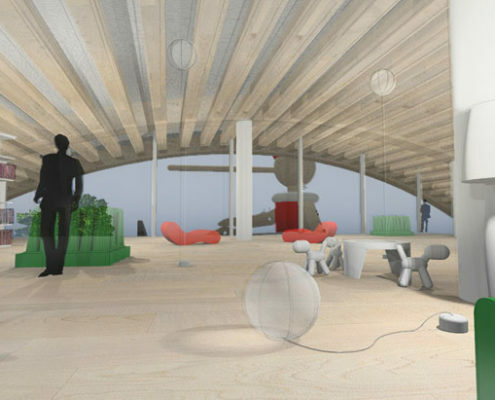 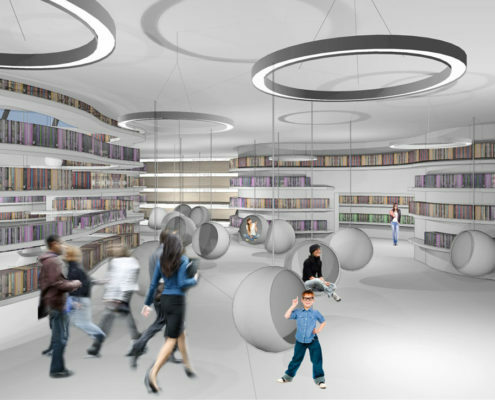 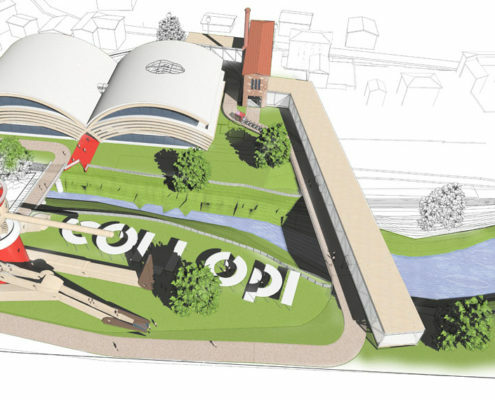 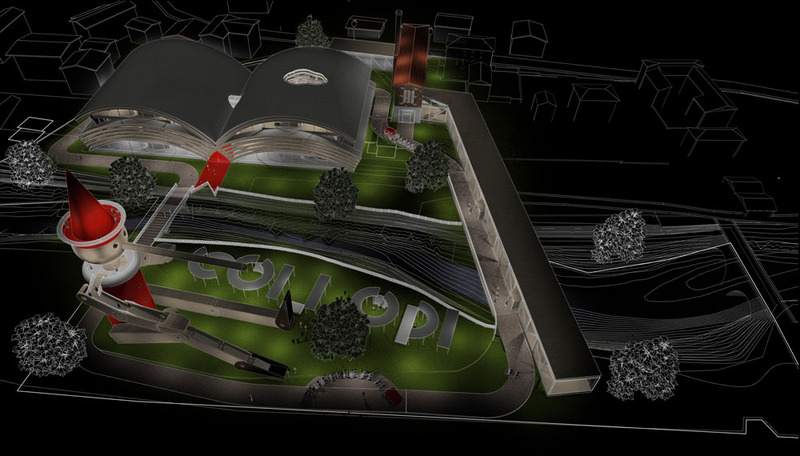 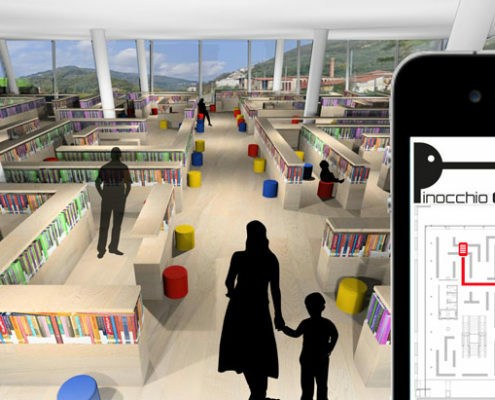 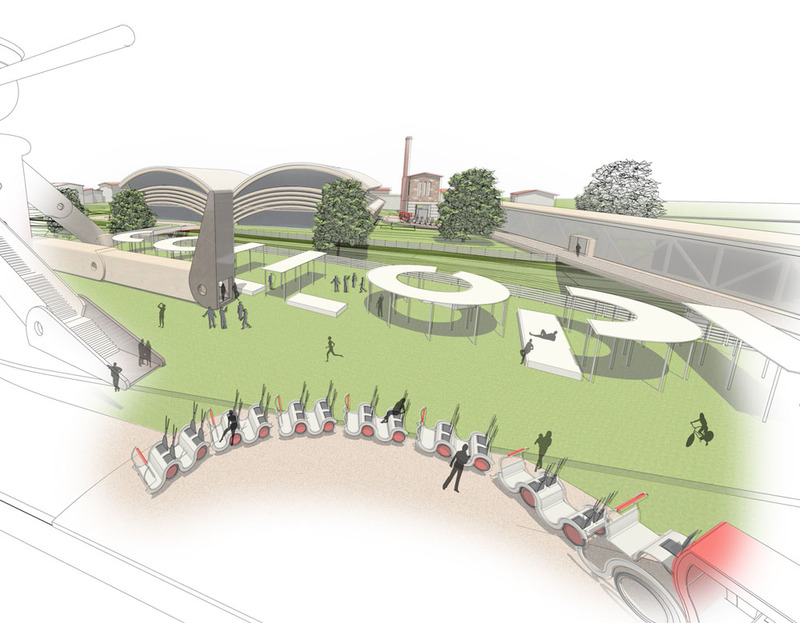 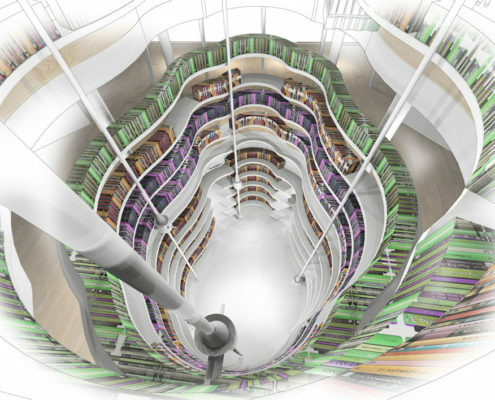 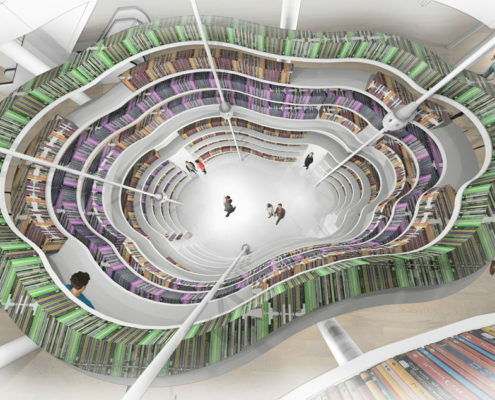 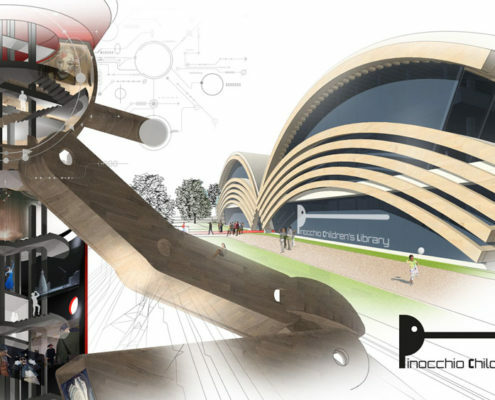 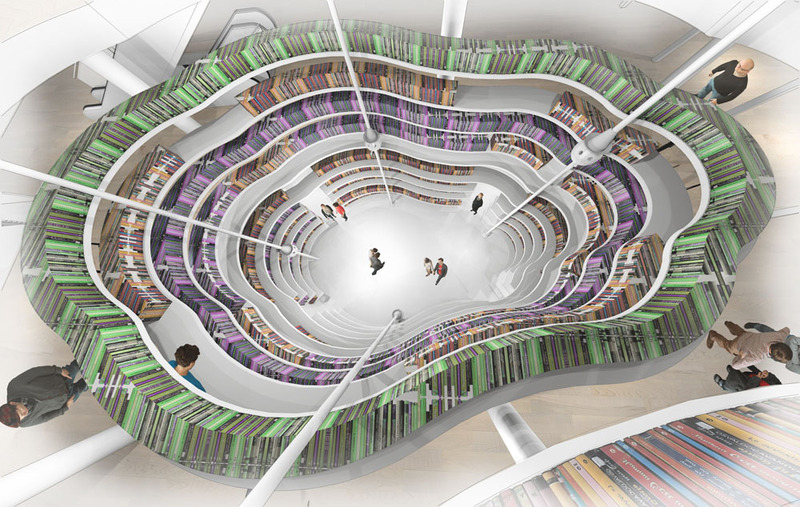 A futuristic idea for the first and greatest library for kids inspired by the fairy tales of Pinocchio that will be the image and materialization of the childhood dreams of the millions of visitors that will come to this park. 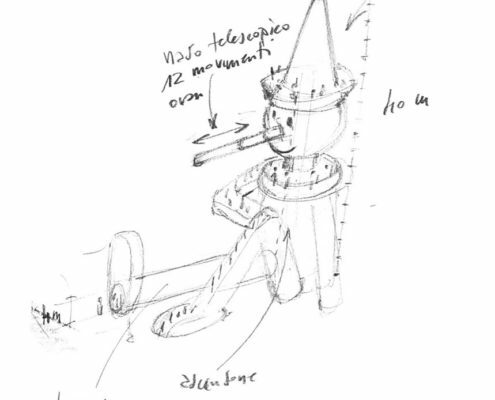 A building with the shape of Pinocchio is the magnetic attraction of the park. 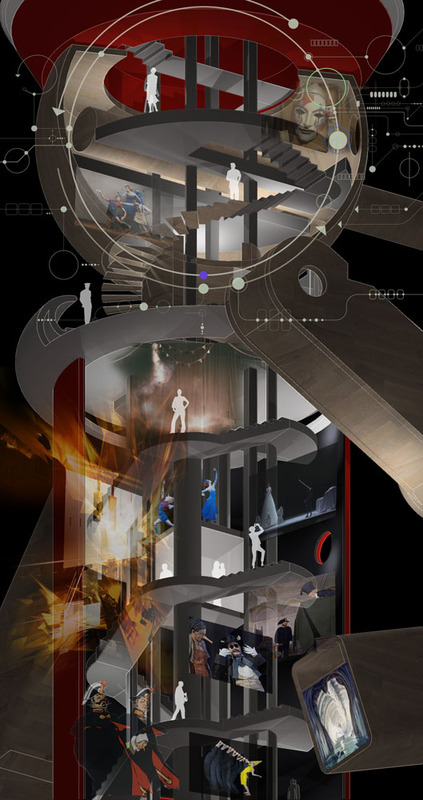 It is possible to walk the stairs or take the elevator from the inside to arrive at the Belvederes, positioned in the correspondence of the white collar and of the hat. 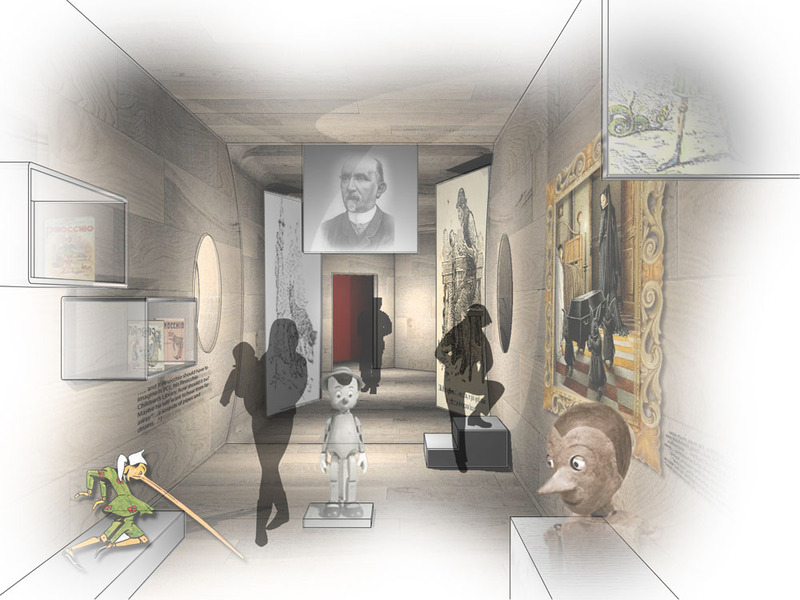 Through the openings of the buttons and of the eyes it is possible to see all the park time by time from different perspectives. 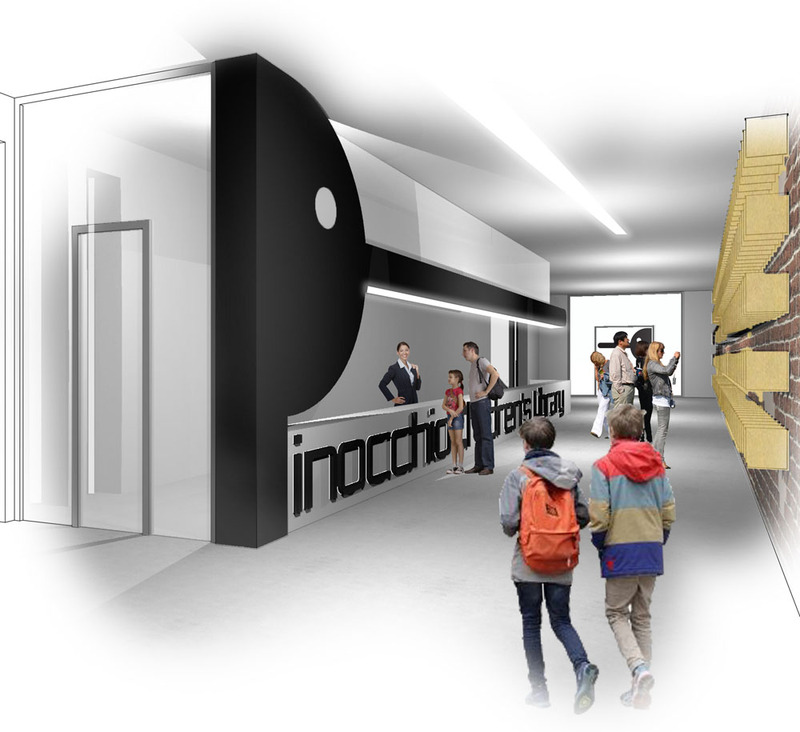 Hiking the building himself is however a real sensorial experience where images that moves, sounds and effects tell the amazing adventures of Pinocchio. 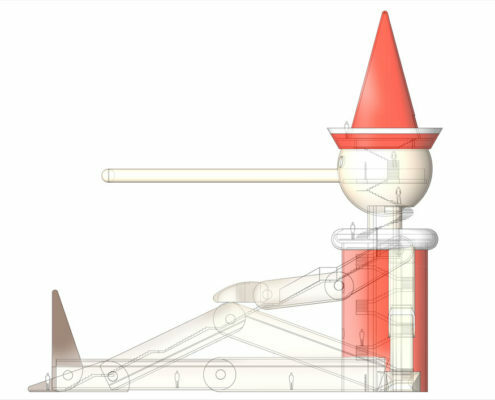 Once every hour a bell beat the time at the PCL and once every hour the Nose of the Pinocchio grew longer and longer according to the time. 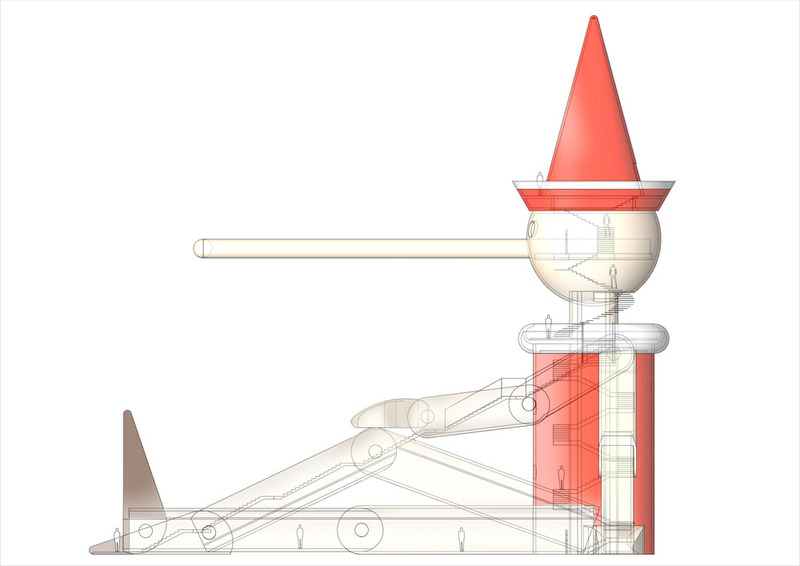 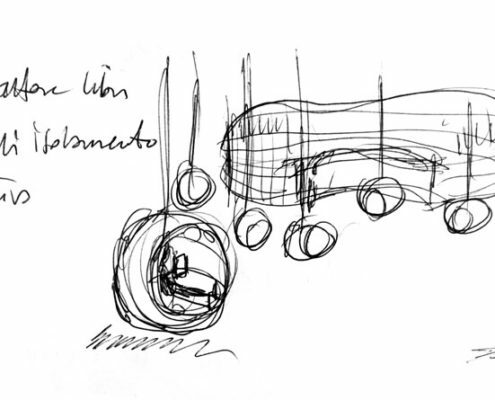 It is possible that we create the first Cuckoo Walkable Pinocchio Clock of the world?